Creating recordings in your own way is pretty a funny thing, especially when you share what you record, like a how-to tutorial, to others. However, in order to enjoy your screen recording completely, you ought to give priority to a worry-free solution. In other words, a screen recording tool should not come with all kinds of limitation, among which the most evident one is video recording length. No doubt, a screen recorder without time limitation is more acceptable. To make a wise decision to choose a handy and efficient screen capturing program, you'd better not miss this review, which introduces a list of 5 best screen recorder no time limit in detail. As one of the most top-leading screen capturing tools, Joyoshare Screen Recorder enhances its recording performances with the most advanced screen recording technology, which can give you a big surprise as it can grab any on-screen video and audio activity happening on your desktop, including live streaming videos, Skype video chats, GoToMeeting webinars, music games, online radios, etc. It's actually a satisfying tool to make any video and audio recording with no watermark and no limitation on the length of recording. Moreover, this unlimited time screen recorder even supports a wide range of video and audio formats and allows you to close system voice or microphone sound to remove unwanted noise. Of course, it also offers ability to decide capturing area as you like, meaning any desktop area can be selected to start a recording. Furthermore, Joyoshare Screen Recorder is full-featured, providing a comprehensive platform for you to create a recording task ahead of time, take screenshot at any time, add effects to cursor if you need, manage captured files as you please, trim video to different segments when have demand, etc. With simple interface and well-arranged tool bar, ActivePresenter is easy enough to operate, which can be utilized to record video and audio in full screen or customized area in high quality. Alternatively, any desktop screen and locked application are supported to record. If you think it can fit for your requirements, there is no need for you to worry about its compatibility considering it offers ability to work well with Windows 7, 8, 10 and macOS X. 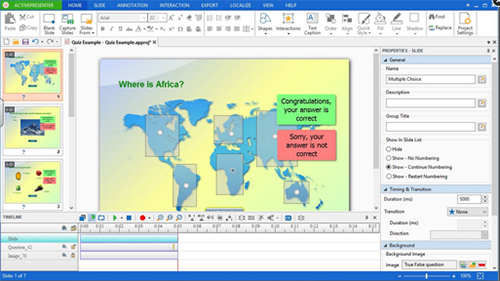 The video editing tool of ActivePresenter couldn't be any more excellent, making it is possible for all users to blur the moving object, trim, cut, merge clips, use Chroma key, adjust audio, make text-to-speech, etc. You can also take screenshots, add annotation and customize hotkeys. It even supports colorful effects, for instance, lines, shape, arrow, text, callouts, cursor spotlight, etc. 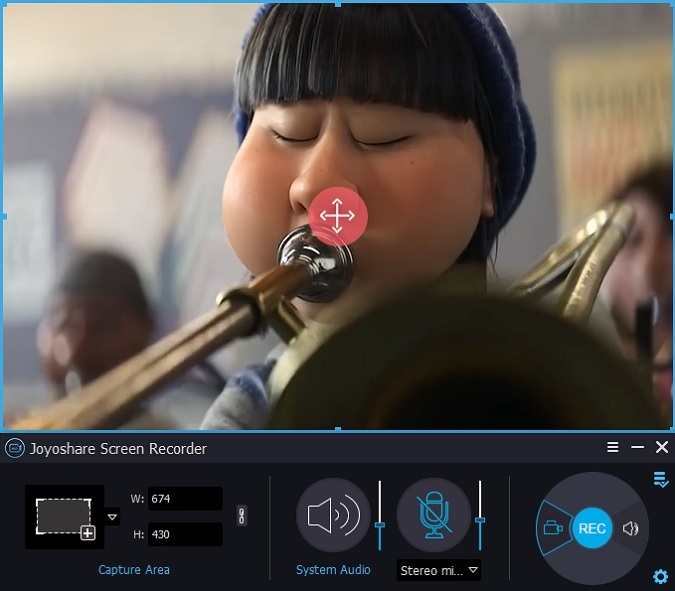 Anyway, with this screen recorder without time limit tool, you will not get into a trouble where your recording process is interrupted suddenly. 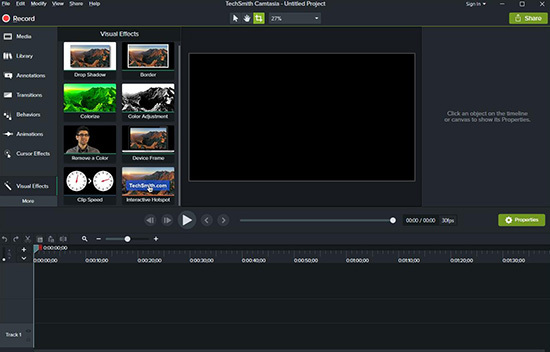 Act as a personal desktop video recorder and editor, Camtasia Studio is workable for recording everything on your desktop, for example, computer screens, webcams, audio tracks, etc. In some cases, it will serve like PIP. Additionally, Camtasia Studio enables you to produce and edit videos at any length, which is to say, it has no time limit to record whatever you are fond. One attractive specialty is that this screen recorder no time limit software is feasible to bring impressive additions to new version, making improvement in callout options, interface design, sharing tool, etc. What's more, any other program can be made use of with Camtasia Studio, such as YouTube, Microsoft software and so on. Certainly, it also comes with some weak points. There is no full camera support owing to Camtasia Studio doesn't adopt live recording from a digital video camera. Note that if you download it, your PC must reach the technological equipment in accordance with the specific requirements for both Windows and Mac and at present, no web-based version provided satisfy users' needs. 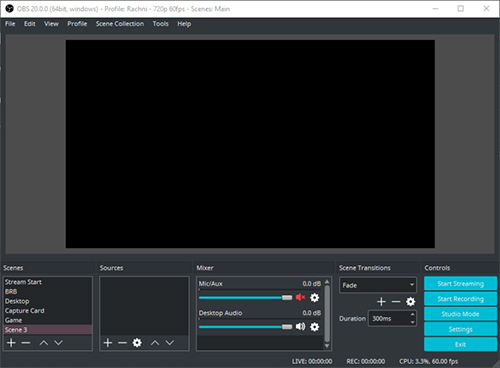 OBS, whose full name is Open Broadcaster Software, is a completely free and open source program. It is a convenient recording tool for supporting both video recording and live streaming. Though OBS cannot offer as advanced features as some of the paid applications available, it is easy to use to make broadcast live on YouTube, Twitch or Facebook. With better compatibility, OBS can perform well on Windows, Mac and Linux. It entitles you to adjust quality and choose different codec for your video recording. As an unlimited time screen recorder, it lets you capture video without worry about time restriction. What makes OBS unique is that it is written in C and C++ code, which is the reason why most game players consider it as the most favorable software. There will no delay on recording a live streaming of a game given that OBS has make full use of GPU and graphic process unit in any live stream, which can up to 60 frames per second. Nevertheless, the downloads are that it can only support MP4 and FLV formats and will crash with Mac operating system due to its terrible bugs. 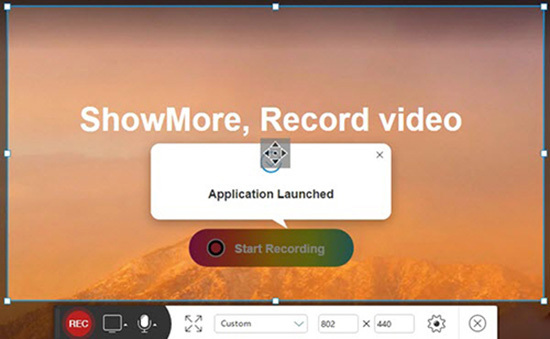 Different from other similar online screen recording program relying on Java plug-in to launch, ShowMore simply activates the screen capture by getting help from a special launcher. Acting as a free online screen recorder no time limit software, it can record any desktop video and audio activity. Withoutthird-party installation requirement, you can also record screen and webcam in the way you like. Being same as Joyoshare Screen Recorder, it delivers you a wonderful solution to decide whether keep system voice and microphone sound left. In addition, you have choice to determine output formats, including MP4, WMV, AVI and GIF. The captured file can be edited in real time as long as you want, adding useful marks, arrows and texts. What is essential is that ShowMore can export recorded videos without adding watermarks and you will not be bothered by capturing length as it is developed with no time limit. All screen recordings can be played smoothly when it is completed. Now you can make choice according to your own real purpose. Frankly speaking, each one has both merits and demerits. The above top-listed screen recorders are designed with no time limit, so what you should pay more attention to is the special points. If you want to record a live streaming game, OBS can do well in this aspect. If you are willing to utilize a screen recorder straightly without installation, ShowMore is good enough for you. However, if you would like to choose a professional recording tool providing all-in-one solutions, Joyoshare Screen Recorder can satisfy you. Anyway, as long as you can enjoy your recording experience, then everything goes well.